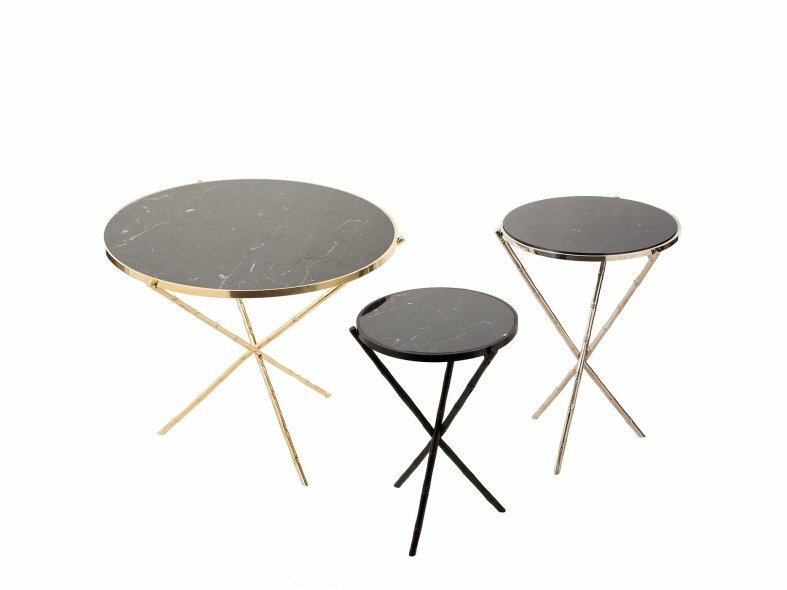 This stunning table's Black Marquina Marble top is held up by three legs created using a sand cast technique in natural brass. 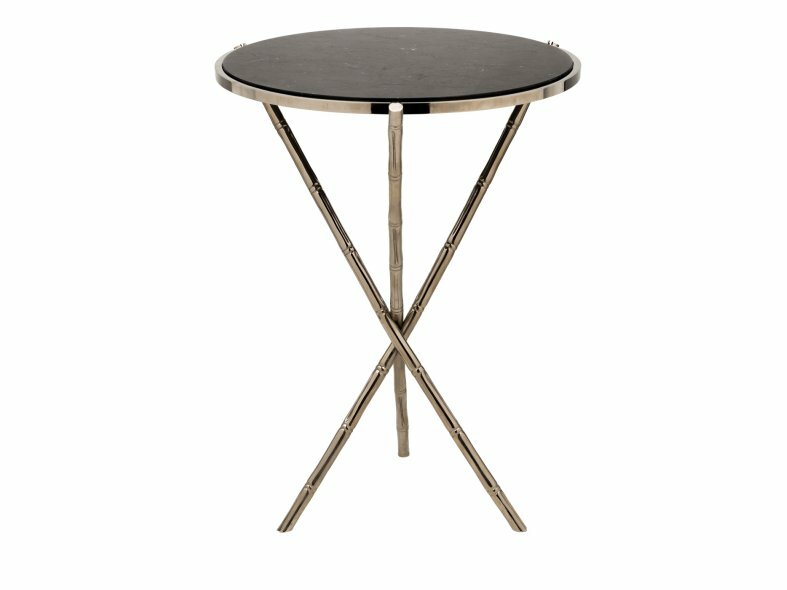 The legs add a naturalistic aspect to this modern table with their resemblance of bamboo. Design by Brass Brothers & Co.